The Apple Watch won't actually hit stores until early 2015, but you don't have to wait until next year for a taste of Cupertino's new wearable device. If you already own an Android Wear device you can equip it with Apple's new smartwatch watch face today thanks to the hard work of one Android developer. The new Android Wear watchface, cleverly called Pear, mimics the Apple Watch design with a galaxy of circular app icons. Unfortunately you can't actually interact with that redesigned grid. It's just for show, and touching the display only wakes up Android Wear. From there you can check notifications, use voice controls or do anything else Google's software supports. So really Pear is just a joke. It's a gag watchface for pretending you already got your hands on an Apple Watch and maybe fooling a few friends. 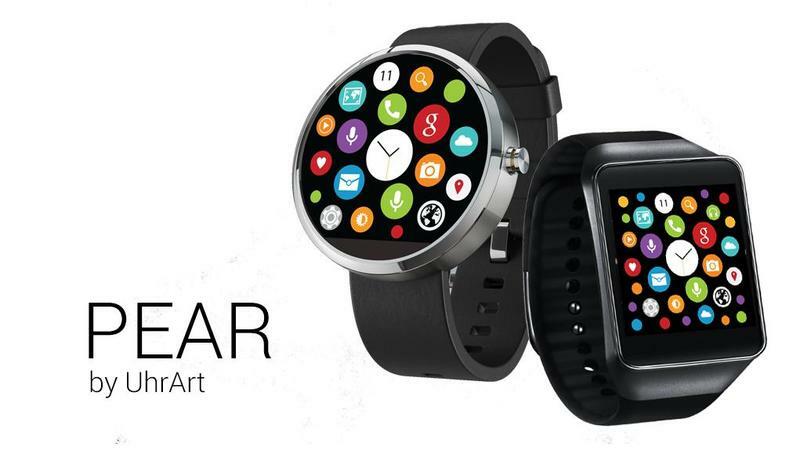 Paired with the Moto 360 it also offers another glimpse at what a round Apple Watch might look like. Yup, still beautiful. For now Apple Watch and Android Wear are very different, but we have a feeling that as both operating systems evolve they'll start borrowing more ideas from one another as that dividing line begins the blur. We saw the same thing happen with Android and iOS, which are more similar today than ever before. Until then hit the source link below to download Pear for yourself.